Last week we returned to our newly renovated office space which reflects our commitment to provide a best in class working environment. Innovation and collaboration are the key drivers behind this modern design. 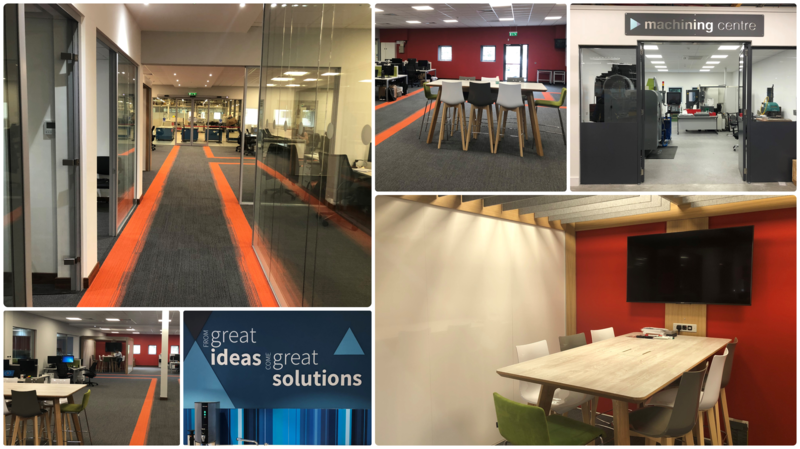 We wanted to provide our engineers with the space needed to work together and share great ideas which will benefit our customers in providing them with innovative automation solutions. We would like to thank everyone involved in the renovation especially the architect Noel Kerley, Indigo Signs, EcoSwift, Mangan Builders and Paul Finlay.